n n n n What are value dates? A value date for a foreign transaction is a day on which the transaction takes place. 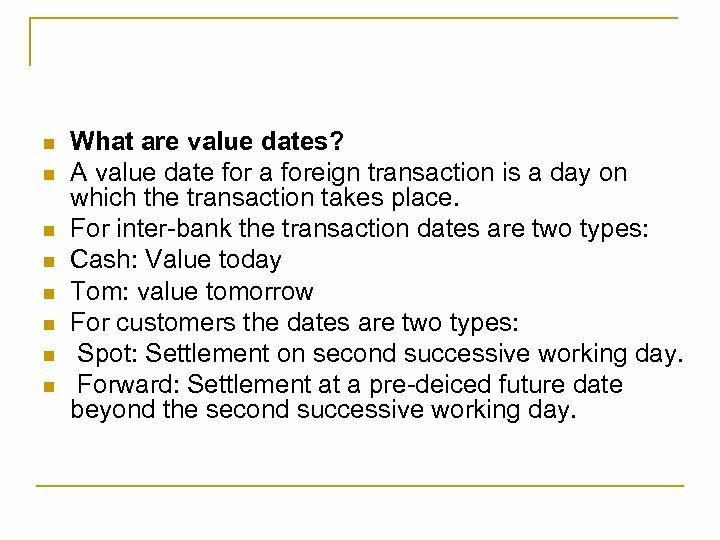 For inter-bank the transaction dates are two types: Cash: Value today Tom: value tomorrow For customers the dates are two types: Spot: Settlement on second successive working day. Forward: Settlement at a pre-deiced future date beyond the second successive working day. n n What are inter-bank rates and how are they different from market rates? 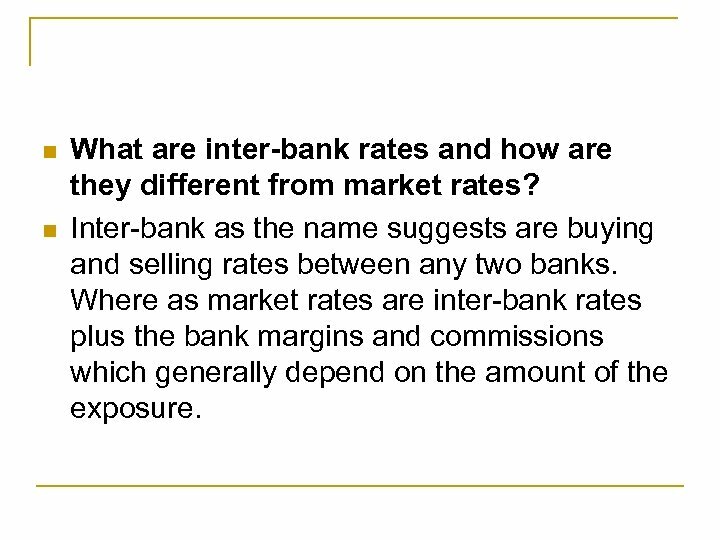 Inter-bank as the name suggests are buying and selling rates between any two banks. Where as market rates are inter-bank rates plus the bank margins and commissions which generally depend on the amount of the exposure. n n What is a TT? 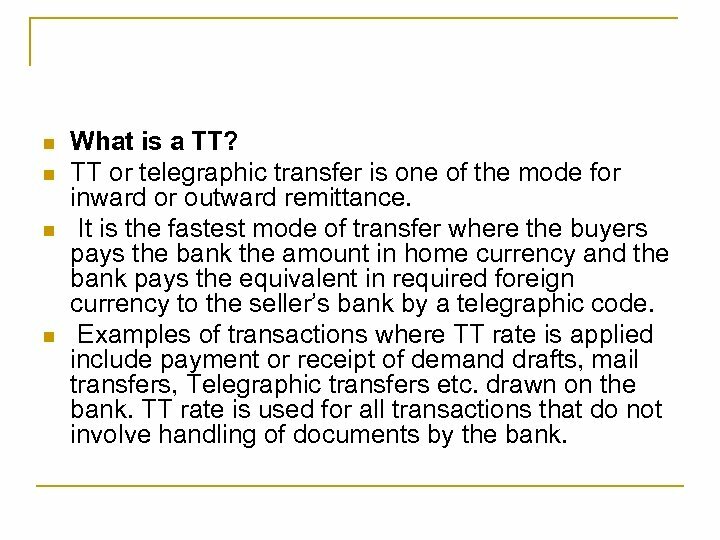 TT or telegraphic transfer is one of the mode for inward or outward remittance. It is the fastest mode of transfer where the buyers pays the bank the amount in home currency and the bank pays the equivalent in required foreign currency to the seller’s bank by a telegraphic code. Examples of transactions where TT rate is applied include payment or receipt of demand drafts, mail transfers, Telegraphic transfers etc. drawn on the bank. 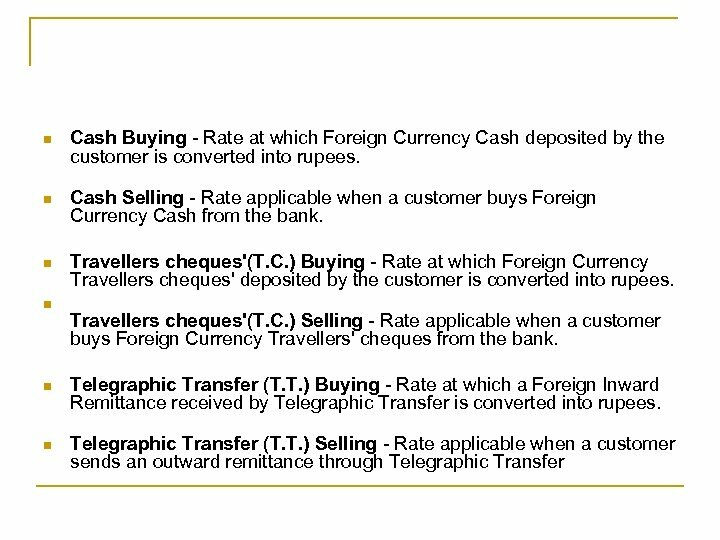 TT rate is used for all transactions that do not involve handling of documents by the bank. 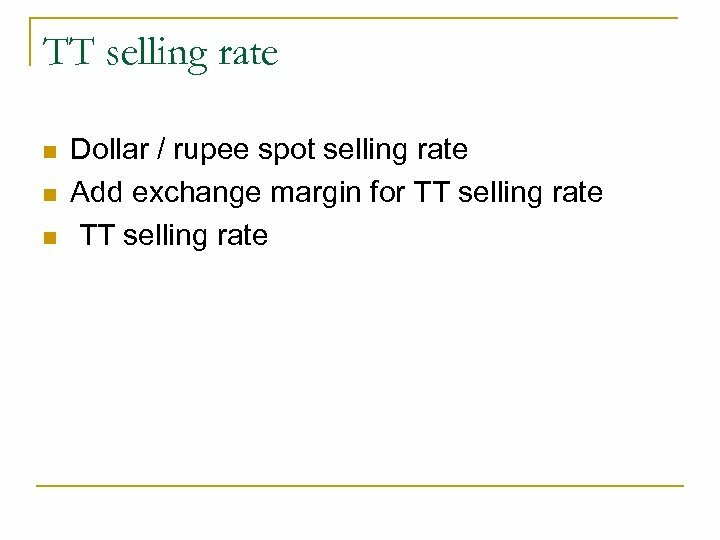 n n n What are TT buying and selling rates? 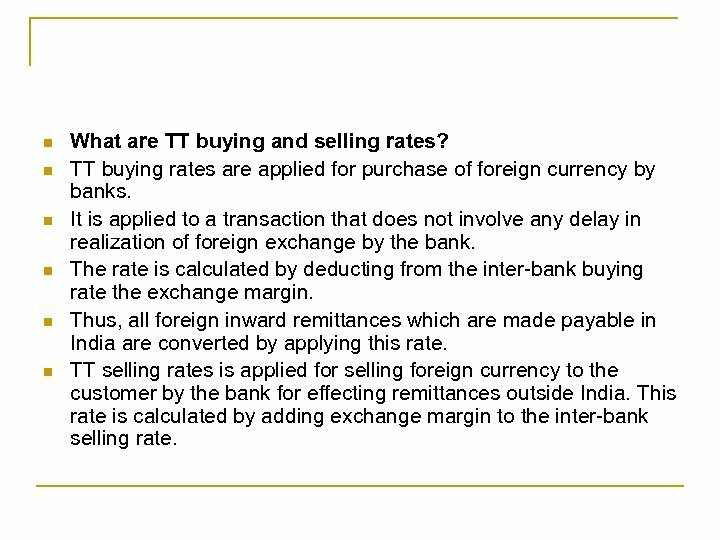 TT buying rates are applied for purchase of foreign currency by banks. It is applied to a transaction that does not involve any delay in realization of foreign exchange by the bank. The rate is calculated by deducting from the inter-bank buying rate the exchange margin. 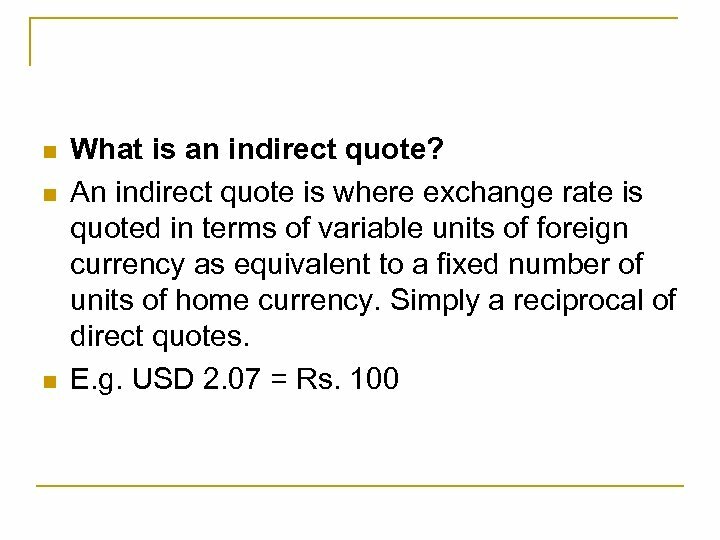 Thus, all foreign inward remittances which are made payable in India are converted by applying this rate. 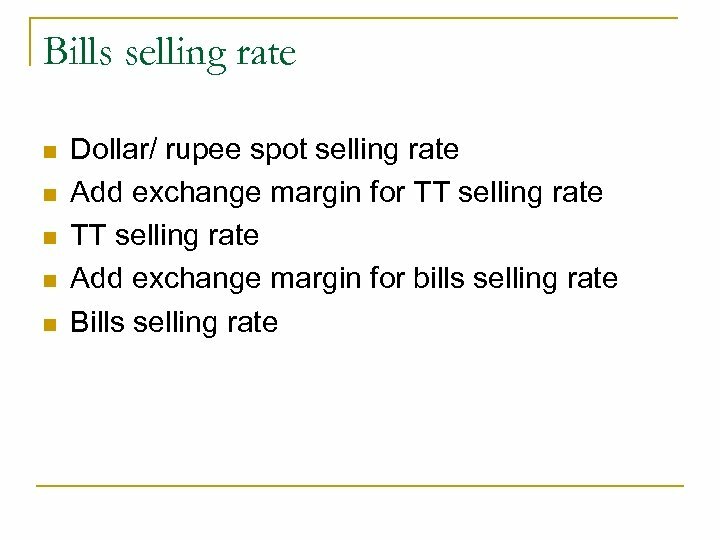 TT selling rates is applied for selling foreign currency to the customer by the bank for effecting remittances outside India. 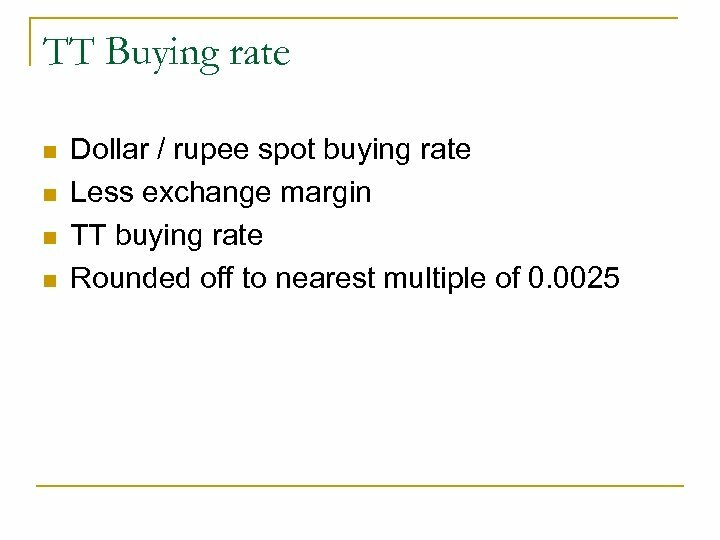 This rate is calculated by adding exchange margin to the inter-bank selling rate. n n n n What is bill rate? Bill buying or selling by any bank involves handling of documents by the bank. 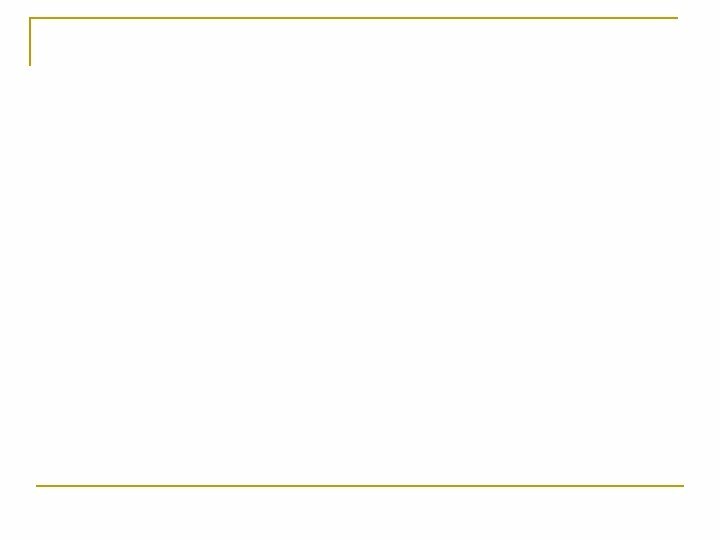 This rate is worse than the TT rate. In addition, the bank will also recover interest for the period for which the bank has lent the funds. 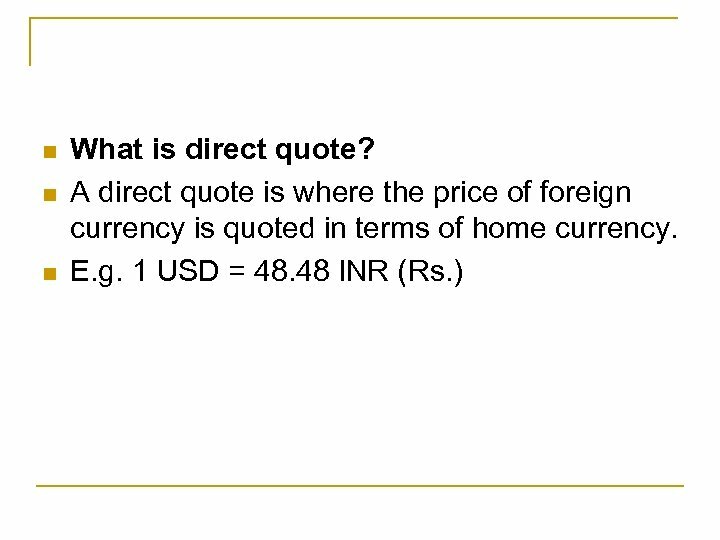 Bill buying rate is applied when a foreign bill is purchased/negotiated/discounted. When a bill is purchased, the proceeds will be realized by the bank after the bill is presented to the drawee at the overseas centre. In the case of a usance bill, the proceeds will be realized on the due date of the bill, which includes the transit period and the usance period of the bill. Bill selling rate is applied for transaction involving transfer of proceeds of import bills. 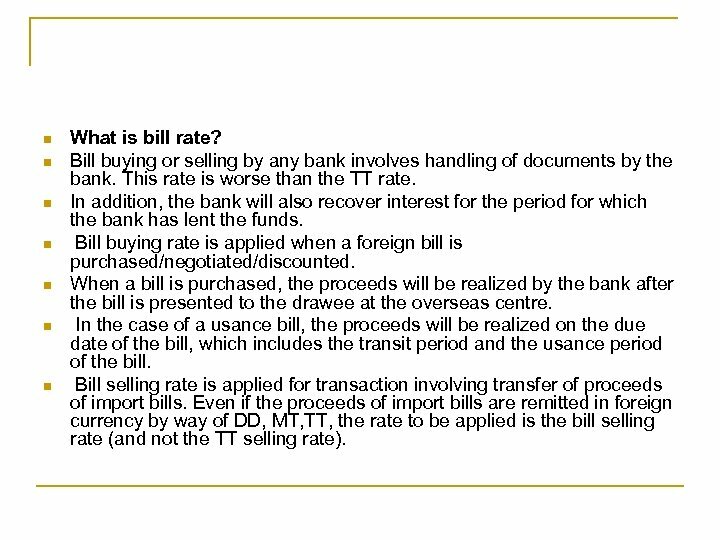 Even if the proceeds of import bills are remitted in foreign currency by way of DD, MT, TT, the rate to be applied is the bill selling rate (and not the TT selling rate). n n n What is Bid/Ask and spread? 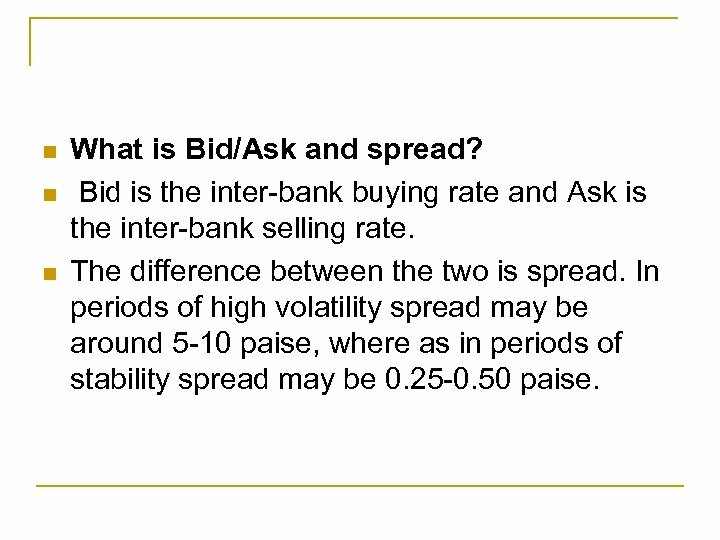 Bid is the inter-bank buying rate and Ask is the inter-bank selling rate. The difference between the two is spread. In periods of high volatility spread may be around 5 -10 paise, where as in periods of stability spread may be 0. 25 -0. 50 paise. 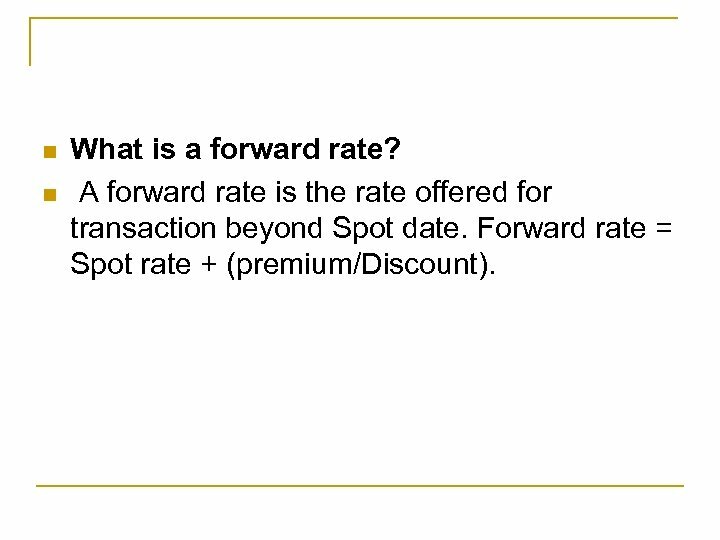 n n What is a forward rate? 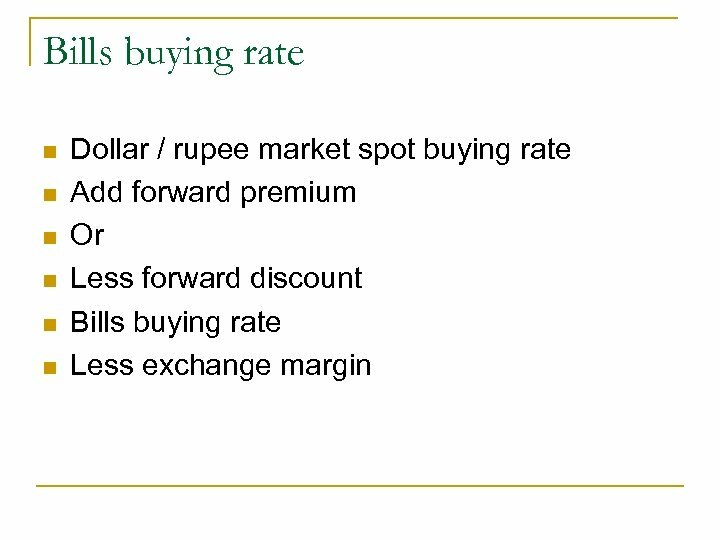 A forward rate is the rate offered for transaction beyond Spot date. Forward rate = Spot rate + (premium/Discount). n n What are FRAs? 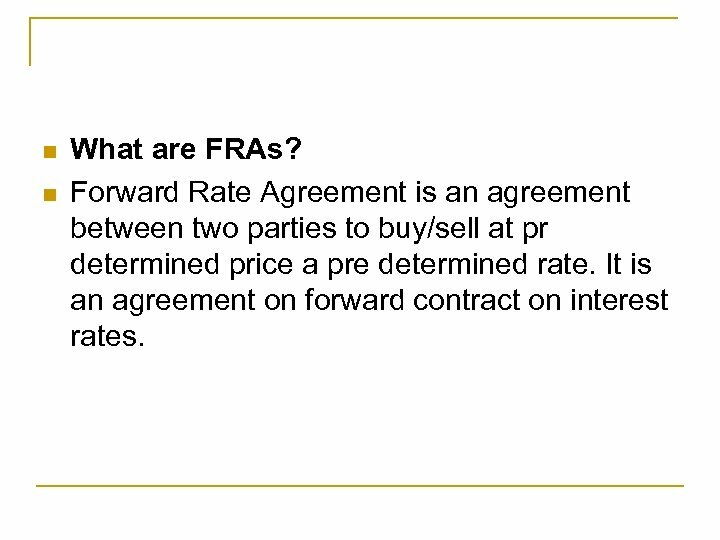 Forward Rate Agreement is an agreement between two parties to buy/sell at pr determined price a pre determined rate. It is an agreement on forward contract on interest rates.